I feel as though it’s only fitting that my first blog post on my website be about my journey building it. Being a small business that is still in its early stages of beginning, I decided not to reach out to a branding person or someone who builds websites and decided to go on this [crazy] ride by myself. Unknowingly my path to website building began in the summer of 2017. 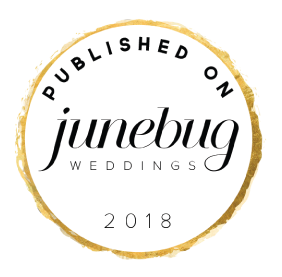 After getting engaged and beginning the experience of wedding planning, I found that I really disliked the majority of wedding options and that I really wanted our own url that had our hashtag [complete millennial move, I know]. Lucky me, being at the end group of my friends getting married, I had a few that were able to point me in the right direction of Square space [this is not an ad or promotion]. I quickly found that I loved what they offered and was hooked! With some trial and errors, I spent a week building our website and dove into the process and benefited from it. My fiancé [now husband] even helped! 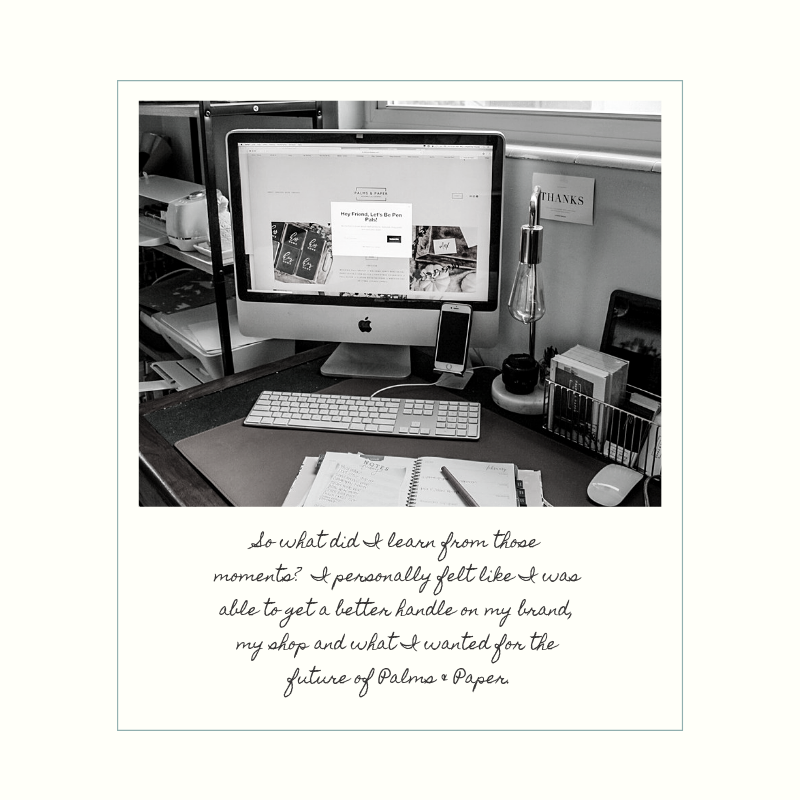 I found that although it was slightly time consuming, building our website made all the difference in getting across to our guests who we were and the love we had for each other, our travels, our homes, and them since the website had our touch to it. While I had just opened my etsy shop, Palms & Paper I already knew I wanted another presence for my work and that would come in the form of a website. As I said, I was newly engaged and planning a wedding in less than a year so I decided for the sake of my sanity and my fiancés, I would put the website on the back burner knowing it unlike the wedding website, would take more than a week. 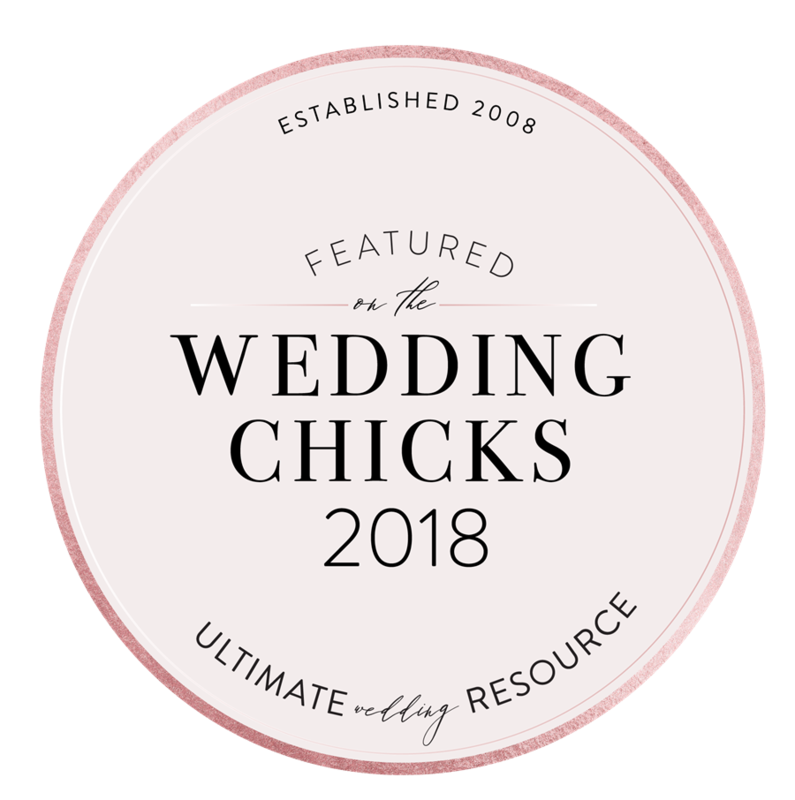 Two weeks after my wedding and having caught up on sleep I finally was ready to start on the website. As soon as I started I was terrified and overwhelmed! Building a website for your business is defiantly totally different then one for your wedding. Being a [new] small business owner you are always wondering if you are doing the right thing, is this “on brand”, wait what is my brand, will people like this? After putting these thoughts away and doing a little mood board project, I was ready to move forward. I'm super old fashioned and wrote in a notebook my goals and how I wanted the site to look and then worked on the site little by little. After a lot of early mornings with double espresso and nights with extra pours of wine and three weeks of talking & saying not so nice things to my computer, I finally was finished and ready to launch it. So what did I learn from those moments? I personally felt like I was able to get a better handle on my brand, my shop and what I wanted for the future of Palms & Paper. When I started it in April of 2017, I did it on a whim. Even though I had made a list of goals and ideas I wasn't totally confident in it and then it took off. Building the website myself made me examine what I wanted. Sometimes when you have a small business and it grows faster than you had planned, it's hard to take a step back and say yes, I'm growing but is it growing in the right direction because you are so wrapped up in what's happening. Building the site allowed me to do that and get my thoughts, now a year in, together on exactly what I wanted and what direction I wanted to keep my business growing in. Now that I have reevaluated, I'm happy with my website and how it represents Palms & Paper. There will be many new additions and a few changes in the coming months as I enter the next phases of changes I want to make to my business [ you don't have to make all your changes at once, but that's for another post]. I hope this will help another small business just starting out the courage to start their own website and not only grow their brand but get in touch with it! As I continue to grow the site and make changes, I look forward to sharing them with you!